Brazil is a multicultural and welcoming country by nature, forged by people from the most different parts of the world. Although predominantly Christian, many other beliefs are part of the Brazilian mosaic. Islamism, among them, is the faith of a large number of Brazilians, with an expressive community in the state of Rio Grande do Sul. Since the 90s there is an Islamic Center in Porto Alegre with a few hundreds of followers. This place, a downtown commercial room, is too little for their needs and its location is inadequate for religious activities. Therefore, a new Islamic Center is proposed, with the following goals: provide the local Muslim community with a qualified place for worship and fraternization; facilitate cultural interaction with the society as a whole; and legitimate the presence of the Muslim community as part of the local culture, making it visually recognizable by means of a symbolic building. 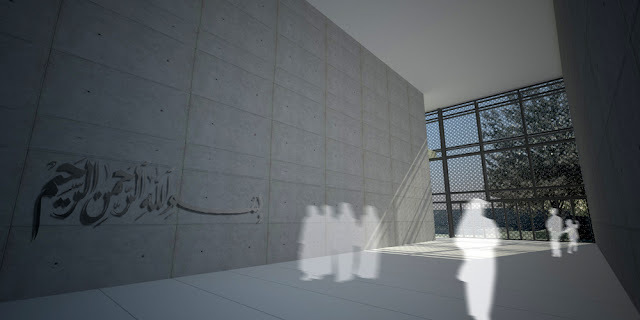 The chosen site reflects the duality of the design, divided in religious and cultural activities, for it combines tranquility for meditation and prayer with the demanded visibility and accessibility for a center that aims to become symbol and hub of a distinctive culture. By Farroupilha Park – Porto Alegre’s civic center – it corroborates the idea of a religion that shelters its disciples and opens itself to the society. 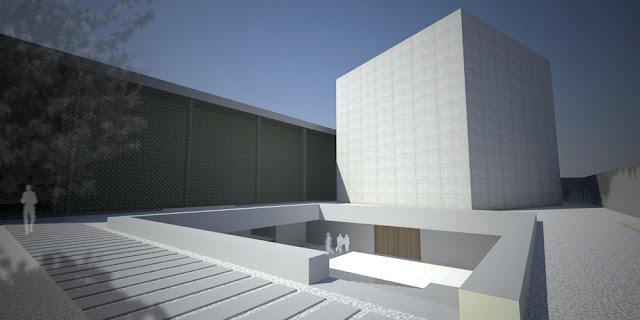 This duality is also present in the site division and the following design approach: the mosque with its garden, ablutions fountain and correlate activities in the back; and the cultural center, auditorium, library, and tea salon in the front, alongside the avenue. Put like that, the buildings unveil their selves as they are traversed, beginning with the moucharabieh façade, first filter from the city. All shapes are pure, especially the temple, a cube, alluding to the traditional dome. 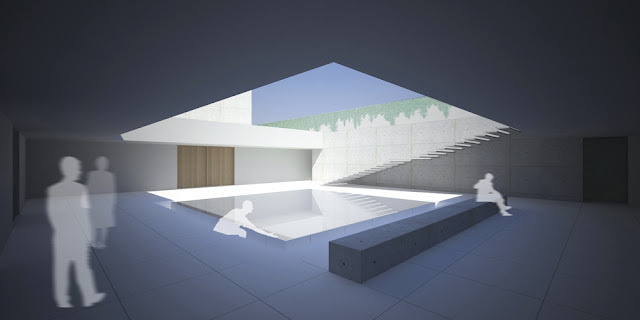 This conceptual and architectural simplicity intensifies the symbolic character of the design. The design particularity is precisely the understanding of and respect to the traditions and rituals and their transportation to a 21st century building. The temple spinning is due to its alignment with the sacred city of Mecca, to where the devotees direct their 5 daily prayers. 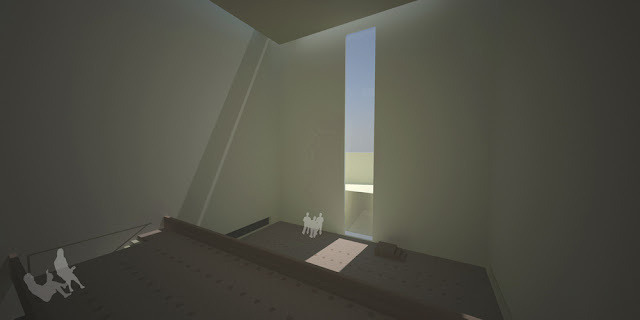 Traditional mosque elements like dome and minarets are reinterpreted; ornament is thought as part of the architecture; and the only 3 imperative constituents of an Islamic temple – Qibla, Mihrab and Minbar – are brought to their essence, alluding to the austerity of the original mosque and the simplicity of the religious message.